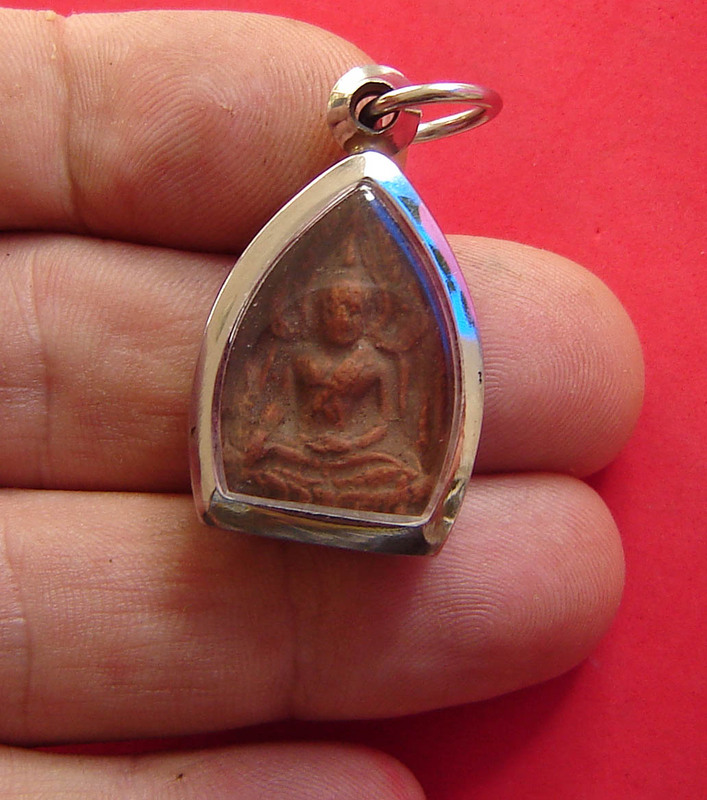 A Classic Benjapakee Pra Gru amulet from a Classic Temple of Pitsanuloke, which is part of the Nang Paya and Benjapakee Legendary Historic Heritage. Pure Buddhanussati (remembrance of the Buddha, Dhamma and Sangha), with all five major Blessings and Powers ruling over them. Especially for acquiring wealth, status and safety from harmful accidents or attacks, the Pra Nang Paya is popular with both Male and Female Devotees. It was removed from its Gru hiding place as one of five kinds of Pim, and given blessings in 2548 BE. The actual age of the amulets when they were removed from their burial chamber is not known to us. 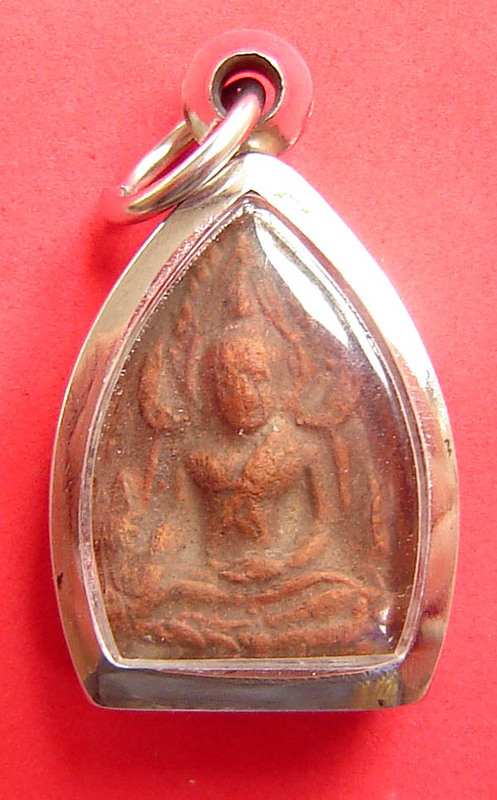 This Pim is not just Pra Nang Paya, is is Pra Putta Chinarat Sum Ruean Gaew, which is also the original design used for the first Khun Phaen amulet of Wat Ban Krang. 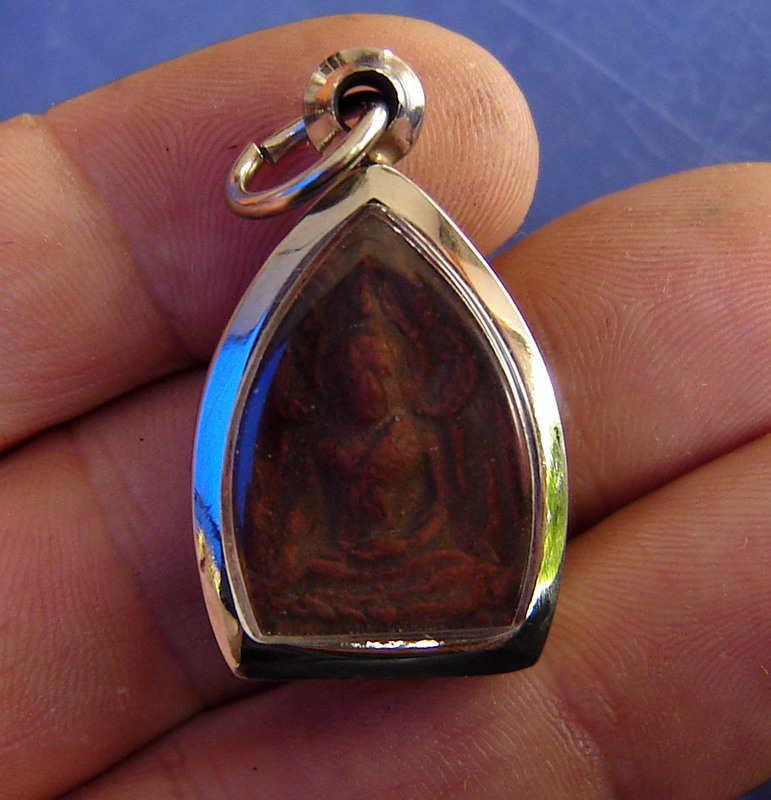 This amulet thus has magical properties of the Nang Paya, the Putta Chinarat Buddha, and Pra Khun Phaen amulets, all in one. The image is of the Chinarat Buddha with the Beautifully designed arch (Sum Ruean Gaew). You can see the thumb prints from the pressing of the amulets by hand on the rear face, an essential aspect of true Pra Gru amulet making tradition. 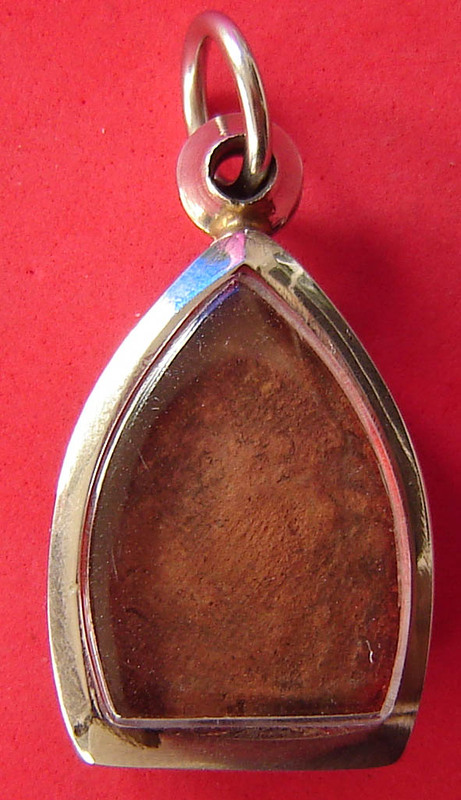 This is a small size amulet and thus perfect for a Woman or Child to wear.